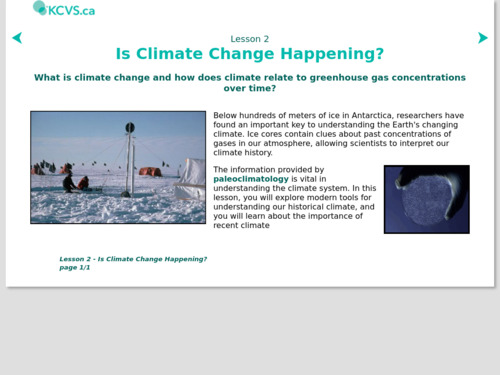 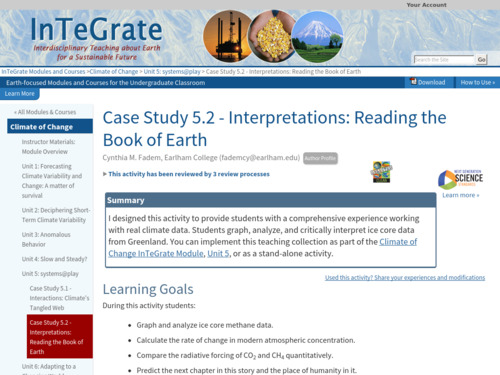 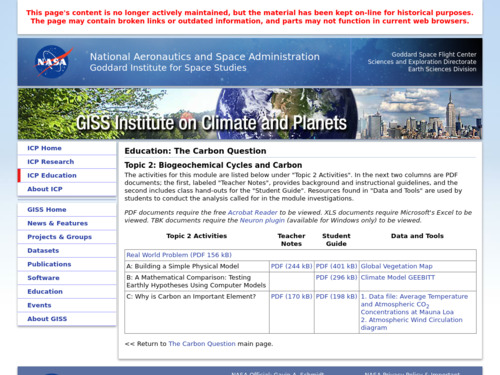 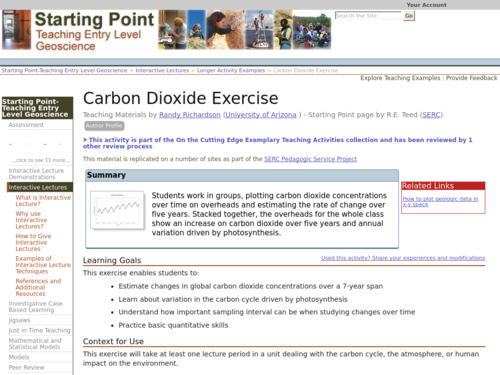 This lab exercise is designed to provide a basic understanding of a real-world scientific investigation. 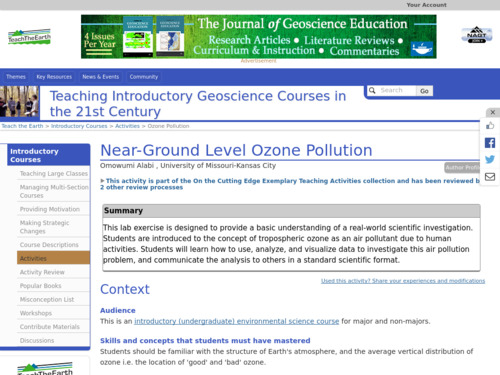 Learners are introduced to the concept of tropospheric ozone as an air pollutant due to human activities and burning of fossil fuels. 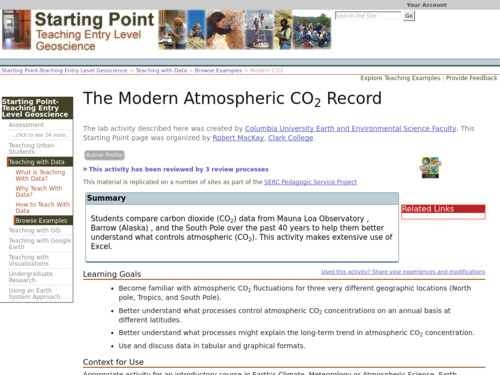 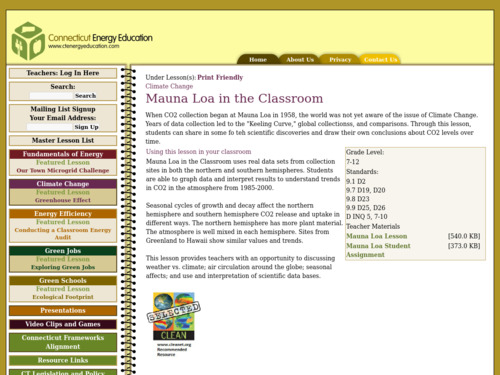 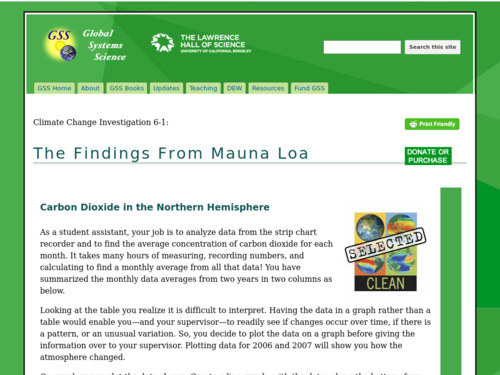 Students analyze and visualize data to investigate this air pollution and climate change problem, determine the season in which it commonly occurs, and communicate the results.